For the past few weeks I've agonised over what to do with my non-existent writing career. I've been pounding words out of keyboards on a semi-professional and professional basis since 1993 - that's 21 years - and have made nothing. In that time I've seen many a person lift my work, my writing, my research and more, and cash in. Good on them - they can live with it. I've been accused of many things, being a hack, being no good, being a plagiarist. I've been accused to actually killing an artist I never met - the list is endless. Then something happened. 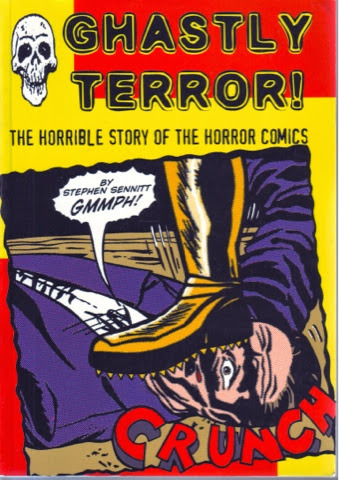 Book Swap Offer #2: Ghastly Terror! Today's 'Let's Do A Swap' book: Ghastly Terror! By Stephen Sennitt. Paperback, 1st edition. Brand new. A fairly good read. Studies the 1950s pre-code horror comics through to the black and white horror mags of the 1970s. It has it’s moments, but if you like Skywald material then this is for you. If like Charlton material, probably best to let this one go. One only - once it’s gone, then it’s gone. Tomorrow, another book. Let people know if you think they might want it. Here's the deal. I'm going through my stuff and will be getting rid of a lot of doubles and the like. Some people will find books just turning up on their doorstep from time to time. In the meantime, other books I've decided to see it a trade can be worked up. Here's how I'll do it. 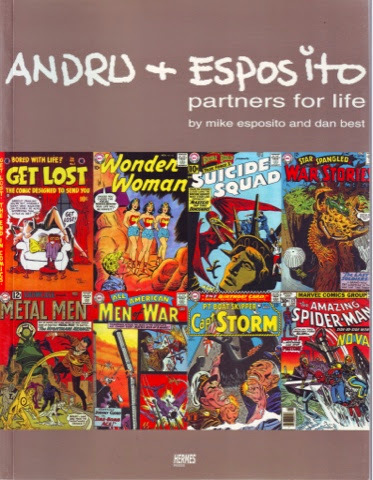 Today's 'Let's Do A Swap' book: Andru & Esposito: Partners For Life by Mike Esposito and, well, yours truly. Brand new. Paperback. Ross and Mike in all their glory. Five copies up on offer. And, if it will sweeten the deal, I'm happy to sign the book, or not, depending on how you feel about my scrawl and, to be honest, I've signed about three of these in the past, but will sign them now if people want me to. These are the last of my comp copies - getting them out of the publisher was like pulling teeth. Take one or take all - once they're gone, then they're gone. Tomorrow, another book. Let people know if you think they might want it.